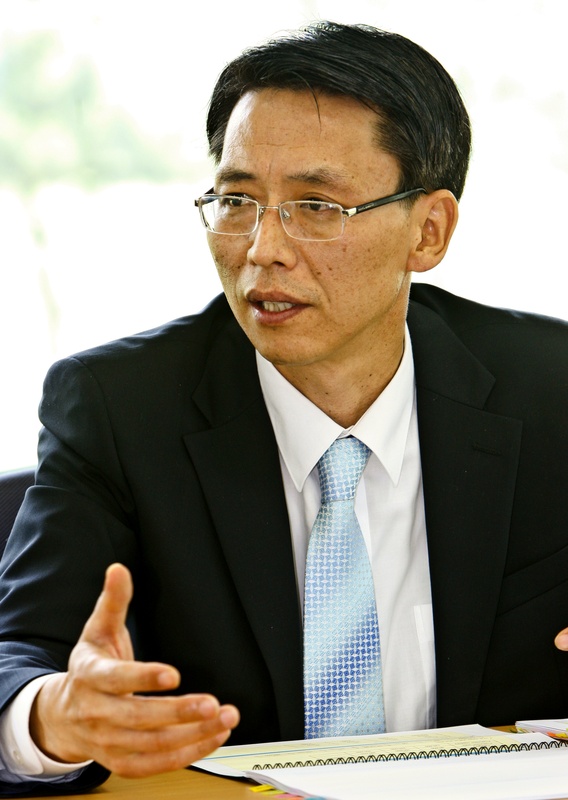 Exclusive Interview with Soon Nam Lee, Vice President Overseas Marketing of Kia Motors Corp. The staff at The Korean Car Blog always strive for newly and premium content for all you guys, our readers. With those things on mind we thought it will be a great opportunity to listen the insights in Kia in how they work with all the different information they gather from around the globe. We were able to contact Mr. Soon-Nam Lee, Vice President of Overseas Marketing at Kia Motors Corporation, we collect couple of the most frequent questions we hear from you guys and also we formulated more questions that we thought you guys will be interested to know. Without any further adue, here is our interview. Will Kia launch a Cadenza Hybrid for the US market? We certainly have plans to expand our hybrid electric vehicle lineup in terms of both the number of models available with hybrid powertrains as well as overseas market penetration of such vehicles. Currently, we are developing a next generation hybrid system as well as a plug-in hybrid electric vehicle and are in the process of carefully establishing a market introduction plan. As for the Cadenza Hybrid, which is currently available only in our home market of South Korea, the US does appear to be a good candidate for this model based on positive reviews and initial sales success of the gasoline version of the Cadenza in the US market. However, at this time we do not have any plans to introduce the Cadenza Hybrid in North America. When is a facelift for the Rio expected? Will it include a “GT” sport variant like the cee’d family? 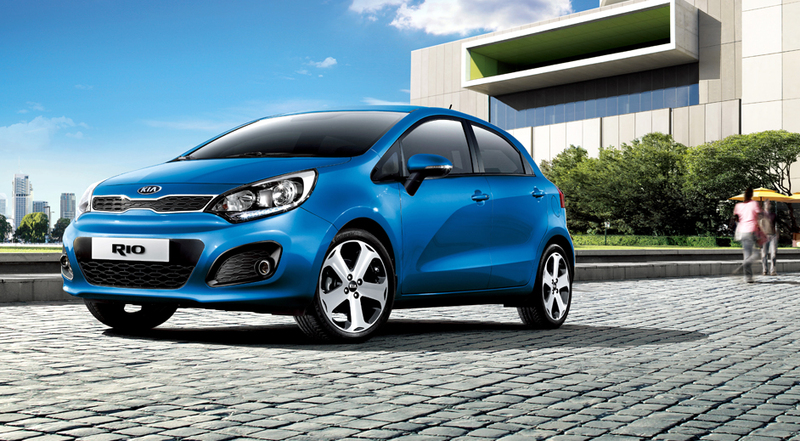 A refreshed version of the Rio will be launched globally next year but will not include a “GT” version. We are always striving to point the Kia brand in a more youthful and dynamic direction, and we are mulling over the possibility of expanding the “GT” variants to other models in our line-up and also introducing a true sports coupe in the near future. A “GT” version of the Rio with a small displacement turbo engine and sporty suspension tuning and design touches would indeed be a good option, and we are currently studying the feasibility of launching such a variant in the future. 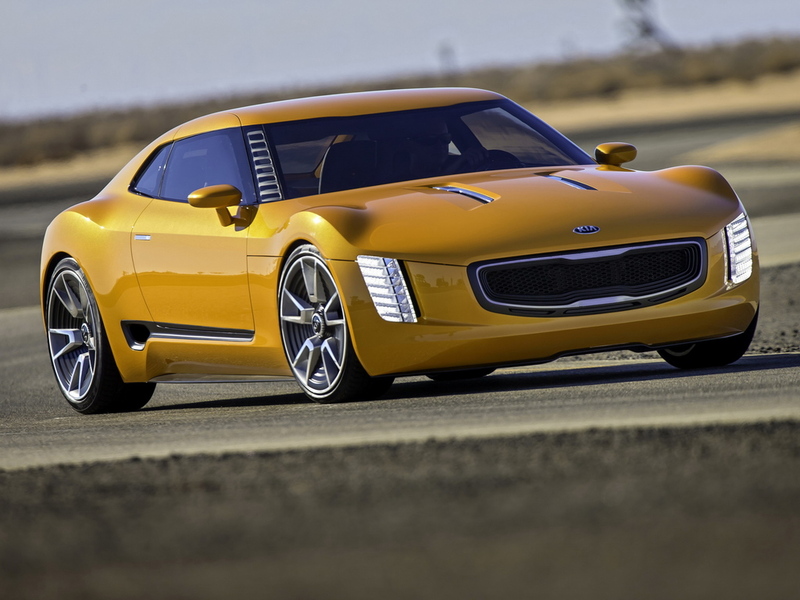 Will Kia launch a 2+2 RWD coupe in next 2-3 years? Meanwhile, the GT concept that we introduced at the 2011 Frankfurt Auto Show (IAA) hints at our direction for a possible production sports coupe. However, plans for both additional GT variants and a sports coupe have yet to be finalized so no official confirmation can be given at this time. Will Kia launch a short wheelbase Sedona in Europe as the new Carnival? Or is it exclusive to the US? First, to clarify the short wheelbase and long wheelbase categorization, the previous generation Sedona (known as Carnival in many markets) was available in both short and long wheelbase versions depending on market. But the all-new Sedona will be available in all destination markets as a long wheelbase version only, although 7, 8 and/or 11 seat configurations will be available depending on market. While we do not have any plans to sell this vehicle in Europe, some European journalists have hinted that the Sedona would also be well received in Europe if introduced. We will continue to closely monitor the market trends in Europe while keeping the door open to possible launch of the Sedona in Europe sometime in the future. Why didn’t Kia launch the new Rondo/Carens in the US? We at Kia global headquarters in Korea along with Kia Motors America (KMA) carefully study the US market before the launch of any new vehicle, and we continue to do so throughout a vehicle’s lifecycle. 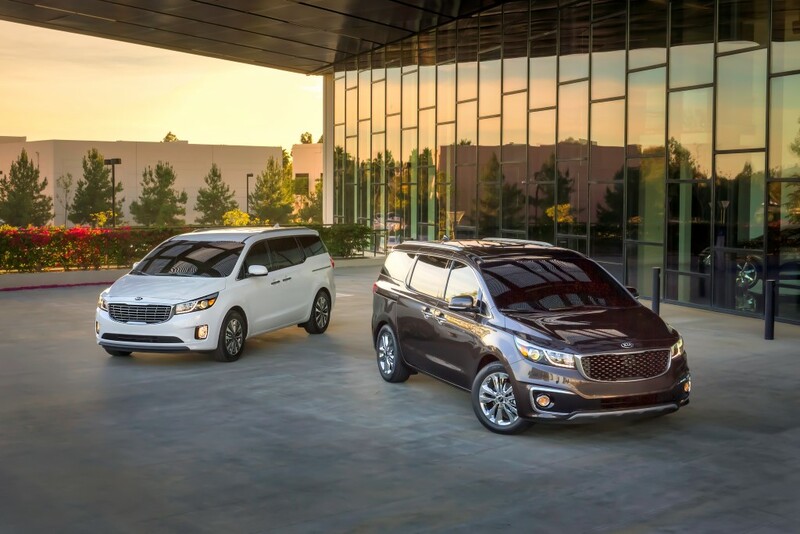 With the launch of the all-new Forte5 last year and the recent global unveiling of the all-new 2015 Sedona midsize multipurpose vehicle, the KMA vehicle lineup aligns itself well with the US market’s current needs in terms of design, functionality and practicality. Can you describe/explain the difference between the US and European markets? One of the most noticeable differences between two markets is that diesel-powered vehicles take the lion’s share in Europe, whereas the presence of diesel cars in the US is slowly growing, but has yet to reach a significant level. In terms of body type preferences, you can see a large number of station wagons on European roads but very few in the US. Whereas station wagons are perceived by European customers as a good combination of practicality and the ride and handling of a passenger sedan, station wagons are seen as somewhat old-style by American customers. On the other hand, American customers are fonder of SUVs and CUVs for similar reasons. And although there has been quite a dramatic change over the years, the typical European customer tends to be more sensitive to fuel economy than the typical American customer. Furthermore, while the US is a large single market made up of consumers with diverse ethnic backgrounds, the European market is the sum of numerous independent countries with different cultures, languages and geopolitical backgrounds yet tend to follow common European regulations and trends. So in many instances, it is a much more difficult task to roll out common marketing campaigns across Europe as a whole. Long ago Kia showed a new family small 1.0 & 1.2-liter Kappa and Gamma turbo engines, ready to be fitted into the new Rio and cee’d, but those models were launched in 2011 and 2012 with normally aspirated Kappa and Gamma engines. What happened with the turbo versions? Our new range of next-generation turbocharged gasoline direct injection (T-GDI) engines includes the 1.0-litre Kappa, 1.6-litre Gamma and 2.0-litre Theta engines. 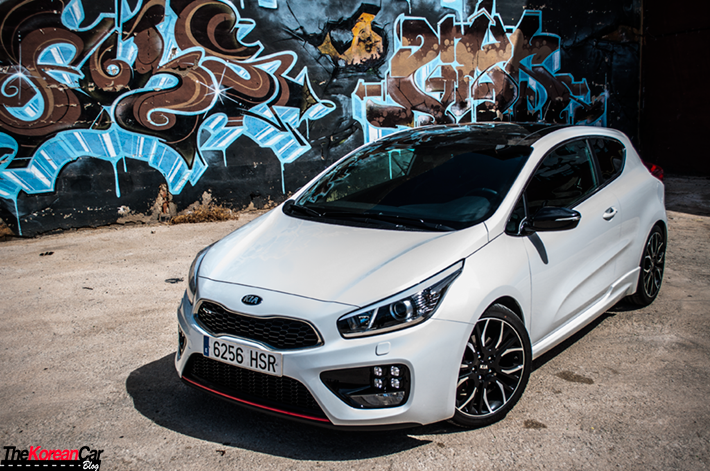 The 1.6-litre Gamma T-GDI engine has recently been fitted to the Forte Koup in North America and some other markets, while it is also featured in the pro_cee’d GT and cee’d GT models in Europe. Meanwhile, the 1.0-litre Kappa engine isn’t featured in any of our production vehicles yet, but will be offered on some B- and C-segment cars from 2015. The particular models that will feature this engine have yet to be confirmed. So to further clarify, the Kappa gasoline engine family in current production models consists of 1.0-litre and 1.2-litre naturally aspirated variants while the current Gamma gasoline engine family has 1.4-litre and 1.6-litre naturally aspirated variants and a 1.6-litre turbo version. 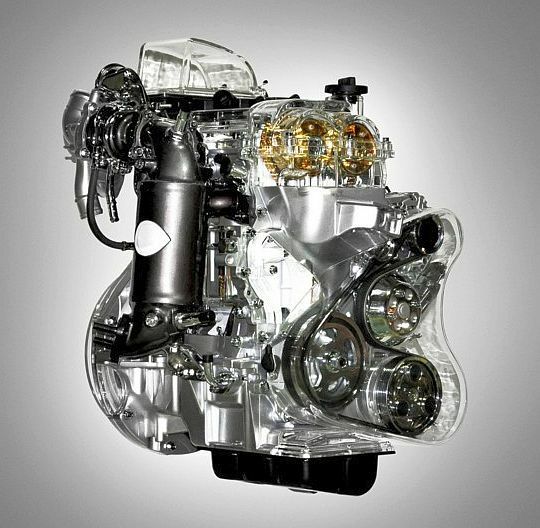 As our powertrain strategy is to continually downsize our engines with the application of efficient turbo chargers, you will be able to see turbocharged gasoline engines in many future Kia vehicles. The K900 has opened a new category for Kia in the US market – the highly competitive luxury segment. What are your goals with the K900 and why did you choose the US as the last market for it to be launched? Kia has always had the courage to be disruptive and this has served us extremely well. The K900 is the ultimate expression of that challenger spirit, and as part of our long-term strategy it is an important enabler for the future of our brand. And while volume will be extremely limited by our standards, the K900 has the power to raise the prestige level and perceived value of the brand in the US market as a whole. Before creating the Forte models, why didn’t Kia bring the pro_cee’d to America? Will this model be sold in Canada? The cee’d family of vehicles was designed and developed specifically for European customers, whereas the Forte (known as Cerato in many markets) lineup was designed with customers in North America and the rest of the world in mind. Nevertheless, there are some countries outside of Europe that share European tastes and similar safety and emissions regulations, and Australia is one of those markets. After reviewing a request from our sales subsidiary Kia Motors Australia to introduce the current generation pro_cee’d to its market, we decided to launch it in Australia and held a media test drive event in March this year. The pro_cee’d is now available for sale in Australia. However, the US and Canada do not fit into this category, and we have no plans to launch the pro_cee’d in either of these countries. We would like to thank Mr. Soon-Nam Lee for his time in answering those questions and give us a better knowledge on how Kia Motors works to give us the best cars and options based on the feedbacks we give – consumer/car enthusiast and bloggers. We are very excited to give you guys this exclusive interview and be sure we will provide you with more in the near future. Be sure to check all our interviews we have done so far at the following link.